For many Indians in the Central and South American rain forests, the everyday world is an illusion, a superficial necessity. “To those who know, this appears as the world of effects, whereas the world of myths is the world of causes” (Deltgen 1993, 125). 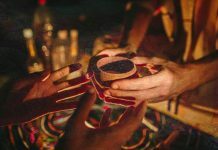 Ayahuasca or yagé, the “drink of true reality,” helps people pierce through the illusion that is the everyday world and penetrate into the heart of reality. 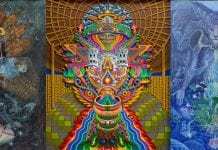 The reality that is experienced under the influence of ayahuasca is the reality of the myths, which appears to be more real and more meaningful. The drug is a medium, a vehicle between this reality and that. It is the gateway to knowledge. The kumú [shaman], however, is the mediator between the two worlds, and may be more passive or more active, depending upon his power and his talents (Deltgen 1993, 141). 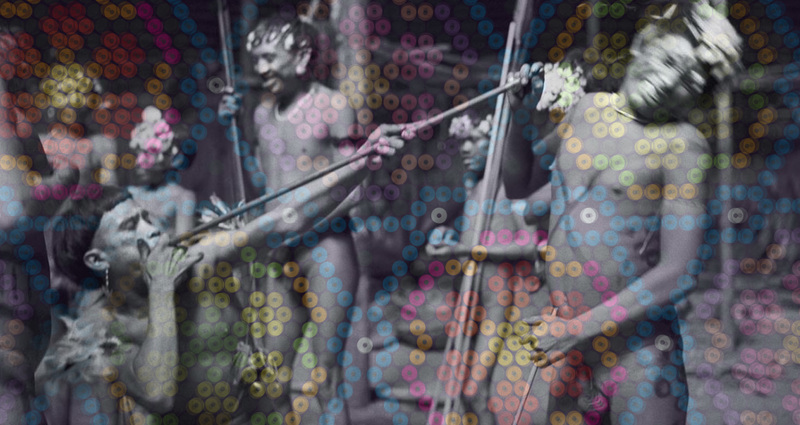 The cají [ayahuasca] thus does not make the shaman. To the contrary: he who is called to be a shaman, the spiritually gifted, is able to make something out of the drugs and their effects” (Deltgen 1993, 200). Shamans throughout the world consume psychoactive plants and products so that they may be able to enter the shamanic state of consciousness and travel to the visionary world, the other reality. 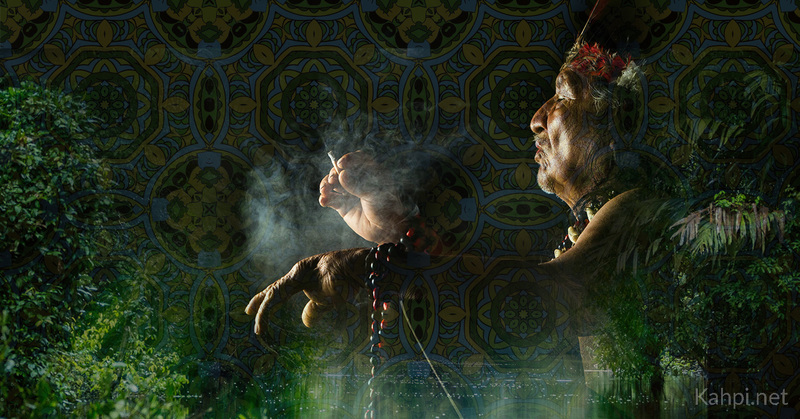 The substances shamans use are very diverse both chemically and pharmacologically. The active substances they contain belong to different classes that are analogs of or related to different endogenous neurotransmitters (see the box above). Nevertheless, they are all pharmacological stimuli for achieving the selfsame purpose: to produce the shamanic state of consciousness. 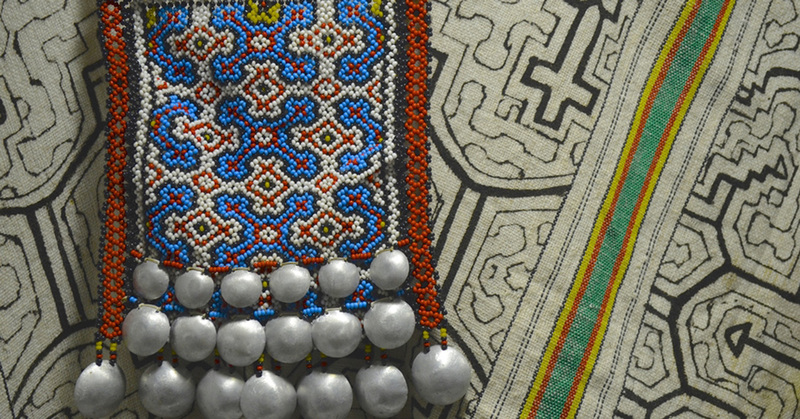 Shipibo-Conibo patterned designs, inspired by the powerful psychedelic brew from the Amazon, ayahuasca. 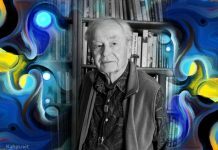 This fact was verified through the research of Adolf Dittrich, who demonstrated that experiences in altered states of consciousness—and compared to everyday reality, the shamanic state of consciousness is very altered—are identical at the core, no matter which pharmacological and/or psychological stimuli elicited them (Dittrich 1996). 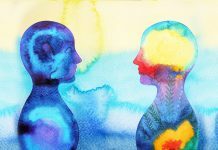 On the basis of my own experiences with a variety of psychoactive plants, I can attest that different active substances can evoke the same state of consciousness, e.g., trance, but will not always do so, for the same drug can produce totally different effects in different people. In particular, the drugs found in datura exhibit striking differences (cf. Siegel 1981). Even in the same person, the same substance can induce very different effects depending upon the dosage, set, and setting. 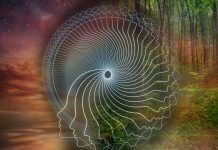 In order to produce the same state, i.e., the shamanic state of consciousness, more than just a psychoactive substance is needed. 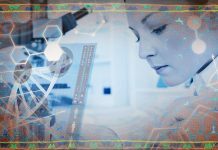 The user must also have the appropriate intention and the appropriate external conditions.9 The drug experience is heavily influenced by the mythological and cosmological matrix of the user and by the ritual that is taking place in the external world. Mythology and cosmology provide the topography or cartography of the shamanic world and show the ways into it and back out. The ritual provides the outer framework that facilitates the user’s transition from everyday reality to shamanic reality and back. The reasons why a plant is being used will strongly affect the content of the experiences. 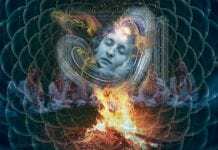 If it is being used to perform shamanic tasks, then it will tend to evoke shamanic realities. As with all human abilities, however, this talent is not the same in everyone. Only the most talented can become shamans. In the same way, humans all differ with regard to our boldness and courage. Only the most courageous of us can become shamans. Fearful people should not confront the gods and demons. 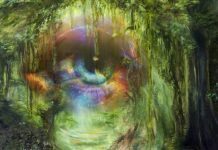 It is for these reasons that in most societies that have institutionalized shamans, the use of plants with visionary effects is embedded within an exclusively ritual context. The visionary experiences take place against the familiar background of one’s own culture. The fear of consciousness-expanding plants is at least as old as the Bible. In Genesis, this fear is thematically expressed as the Fall. The fruit of the tree of knowledge transforms a person into a god. But since we are allowed to worship only one god, no one else can stand on the same level as him (or her?). In many hierarchical cultures with an imperialistic orientation (emphasizing power instead of knowledge), immediate mystical, ecstatic, or religious experience is heavily regulated and is usually even forbidden. The direct experience of the world has been replaced by an elaborate, theologically driven religion and is monopolized by the state. Paradise, that other reality, is administered by bureaucrats who have not personally experienced it and who sell it to the needy and those who crave ecstasy. Jonathan Ott has referred to this mechanism as the “pharmacratic inquisition” (1993). The Mexican inquisition provides the best historical example of the suppression of personal experience and its replacement by a state monopoly for administering the divine. As for the introduction of the use of a plant or root named peyote . . . for the purpose of uncovering thievery, divinations about other occurrences, and prophesizing future events, this is a superstition which is to be condemned because it is directed against the purity and integrity of our sacred Catholic faith. This is certain, for neither this named plant nor any other possesses the power or intrinsic property of being able to bring about the alleged effects, nor can anything produce the mental images, fantasies, or hallucinations that are the basis of the mentioned divinations. In the latter, the influences and workings of the devil, the real cause of this vice, are clear, who first makes use of the innate gullibility of the Indians and their idolatrous tendencies and then strikes down many other people who do not sufficiently fear God and do not possess enough faith. Even today, the sacred plants of the Indians and/or their active constituents are forbidden throughout the world. 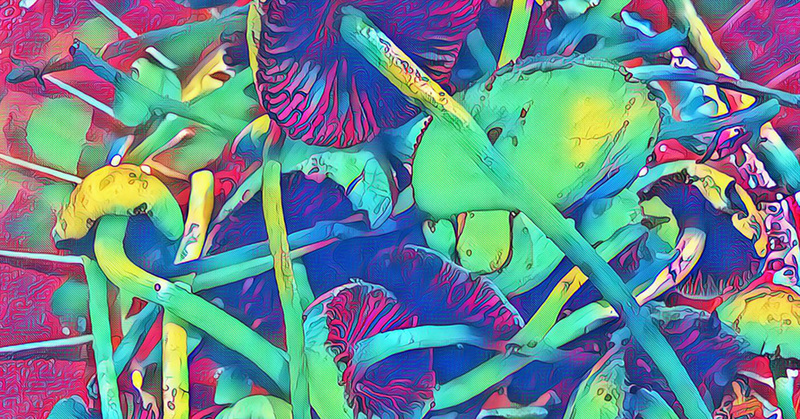 While the use of peyote, mescaline, psilocybin (the active principle of Mexican magic mushrooms), DMT, et cetera, is in principle exempt from punishment, the possession of or trafficking in these is nevertheless illegal (Körner 1994). The drug laws of our time, in other words, are rooted in the spirit of the Catholic Inquisition. As long as the sacred plants and substances of the Indians remain illegal, the war against the indigenous peoples of the Americas will not be over. Generally speaking, the U.S. “War on Drugs” is a continuation of European colonialism and an instrument for criminalizing the Indians and their spiritual kin. © 2010 Park Street Press with permission from the publisher Inner Traditions. Christian Rätsch, PhD, is a German anthropologist and writer specializing in ethnopharmacology and psychoactive plants and animals. 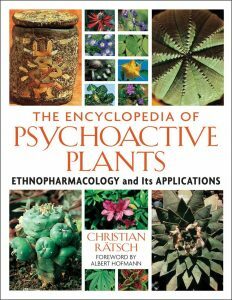 He is author of the book "The Encyclopedia of Psychoactive Plants: Ethnopharmacology and Its Applications".